Whether you are winterizing or just keeping your boat looking good, here are some good tips to get the shine on! 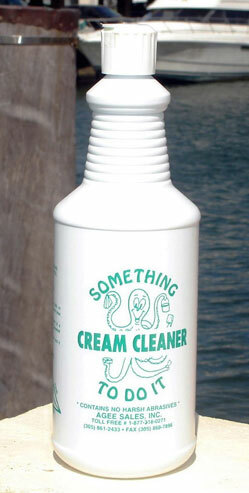 Something to Do It creme cleaner is the first step to an amazing shine on your fiberglass boat. Getting a showroom shine seems like a complicated process that should be left to the pros. But, Shurhold Industries simplifies the process, so any boater can restore the glossy shine of their fiberglass by following a few simple steps below. Owners will need removable painter's tape, a 1" paintbrush, microfiber towels, a dual-action polisher, buffing cream, a wool buffing pad, polymer polish/protectant and a foam polishing pad. First, owners must clean the boat's surface or they'll only be grinding dust and dirt into the gel coat. A great product to use is Something to Do It, a multi-purpose cream cleaner that quickly & safely removes grime & stubborn stains from nearly every surface. Then, they should tape off areas, such as pin stripes and vinyl lettering. After that, most boaters will have to buff away oxidation before applying a protective layer of polish. To start this process, a thin coating of buffing cream should be applied over a 2' square area with a 1" paintbrush. For the best results, owners should start with a small amount of product and add more along the way if necessary. Then, using a dual-action polisher/buffer with a wool buffing pad, owners can move over the work area, side to side, then top to bottom. This helps ensure all areas are covered and enables owners to work quickly and effectively without worrying about swirl marks and surface damage. 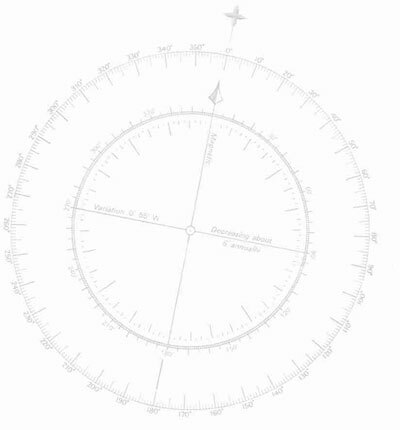 Owners should buff with light pressure at 1,800-2,500 opm until only a minor residue is left. Excess buffing cream can then be removed with a clean, dry microfiber cloth, revealing a deep shine. A slower buffing speed is recommended when working near exposed antennas, lines and horns to prevent damage. Once the hull is all clean and shiny it is time to protect it. Surface-protectant should be applied to seal the gelcoat and help prevent future oxidation. Polymer-based formulas are easier to use, have a much longer life and guarantee UV protection. When applying polish, it's best to use a foam polishing pad and multi-speed, dual-action, random-motion polisher. Applying about a quarter-size amount to the pad and then smearing it on the surface prior to turning on the polisher works best. Just like buffing, owners should work in a 2' square area in the same pattern. The polisher should be at a medium high-speed amd the sealer should be worked in until it has almost vanished. Then, excess protectant cream can be removed with a clean, dry microfiber cloth, revealing a deep shine. Now, the vessel should look like it belongs in a showroom. Shurhold Industries offers all the tools needed to buff a fiberglass boat like a pro. Buff Magic is an excellent tool for removing oxidation, before sealing the fresh surface with Pro Polish Wax. Shurhold's Dual-Action Polisher is great for do-it-yourselfers of all experience levels. A 22 oz. can of Buff Magic is $28.98, a 16 oz. bottle of Pro Polish Wax is $22.98 and the Dual-Action Polisher is $149.98.